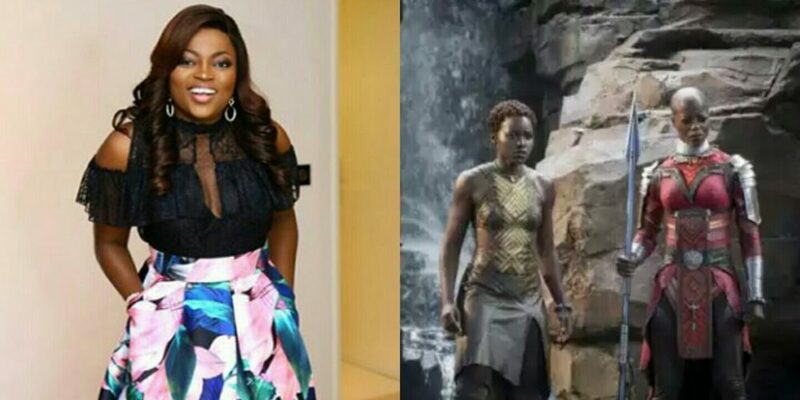 It is no longer news that actress Funke Akindele has been listed among the full cast of the “Avengers: Infinity War” on IMDb as a member of Dora Milaje. However, the actress is yet to confirm or deny the story even though she and her publicist have been reached for a statement, that notwithstanding, Nigerians have already taken to Twitter to express their excitement. “Avengers: Infinity War” is the most anticipated movie of 2018, according to IMDB, and features Akindele alongside Marvel characters such as Black [email protected], Captain America, Iron Man, Black Widow among others. Here are seven things you should know about Akindele’s role in the movie. 2. In the comics, the Dora Milaje are the personal bodyguards of the Black [email protected], recruited from every tribe of Wakanda. 3. As an ancient tribal tradition, the Dora Milaje are assembled as potential queens for an unmarried king. This is to maintain unity in Wakanda by ensuring the possibility of the king selecting a wife from any of the 18 tribes in the kingdom. 4. It’s customary for the Dora Milaje to shave their heads and have tribal markings. In 2017, Akindele shaved her head. It could be for the role, or not. 5. While most of the Dora Milaje are nameless, several like Okoye (played by Dania Gurira) Nakia (Lupita Nyong’o) and Queen Divine Justice are the most prominent. 6. They are the most accomplished female fighting team in the Marvel Universe. With ease, they fought the master Russian assassin Black Widow and almost defeated Storm. 7. The Dora Milaje are trained to kill, but Black [email protected]’s orders limit them to just injuring enemies.